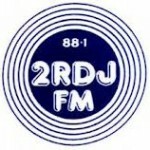 2RDJ is one of the most famous online radio station on Australia. 2RDJ broadcast various kind of latest hip hop, classic, dance, electronic etc. music. 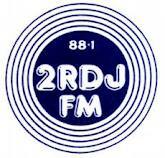 2RDJ live broadcasting from Australia. 1. To support the development of and the ongoing provision of Community Broadcasting services within Ashfield, Burwood, Strathfield & Canada Bay Councils. 2. To support the principle of local autonomy in the provision and control of community broadcasting services. 3. To promote the principles of independence in programming, diversity of programming, access to broadcasting facilities, diversity of opinion and views which enable the fullest expression of the aspirations and culture of the Australian people and the Inner West in particular. 4. To provide a range of services to members and the community we serve, including information, technical, programming and training services. The original idea of establishing a community radio station was formulated in 1975 by Vince Murray, Warwick Madden, Kent & Dorothy Broadhead. After a proposal paper was written, a steering committee was set up. The first public meeting was held at the Burwood Public Library on 15 October 1975 where office-bearers were elected. It was found that there was no provision in the then Broadcasting and Television Act for the issuing of community broadcasting licences.